Mountain Ranges of India: India has seven major mountain ranges having peaks of over 1000 meters. India has some of the highest mountain ranges in the world. It also has some of the world’s highest mountain roads. The Great Himalayan mountain range are the famous and highest mountain hills of India. The Himalayan mountain range bisects India from the rest of Asia, this mountains is the primary source of mighty rivers in India. These hills contain areas of exceptional natural beauty, sparking waterfalls and habitat for many species of medicinal plants, beautiful birds, unique reptiles and wild animals. Kanchanjenga is the highest peak in India and 3rd in the world, Nanda devi is the second highest mountain peak in India. The highest mountain range Himalayas means “abode of snow” is the one of the youngest mountain ranges in the world. 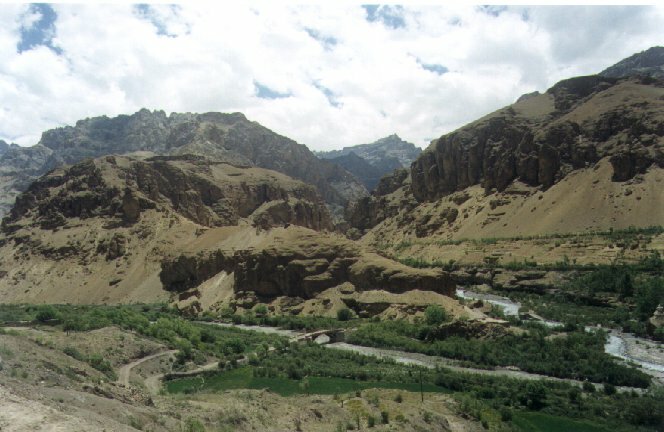 By extension Himalaya Range also include the Karakoram, the Hindu Kush, and other lesser ranges. 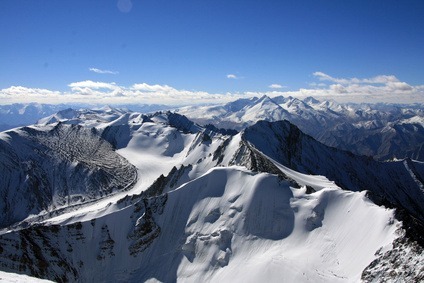 Karakoram is one of the Greater Ranges of Asia. Himalaya mountain ranges are the highest in the planet and home for the worlds highest peaks that include Mount Everest and K2.The Great Himalaya mountain is a source of some of major rivers in India as well as in the world. The second longest glacier in the world Siachen Glacier is also the part of Great Himalaya range. Great Himalaya also host some of the most amazing valley’s which contains group of most beautiful lakes in India such as Pangong Tso -Ladakh,Tsongmo Lake -Sikkim and and the frozen one Sela Lake of Tawang. Kangchenjunga and K10 Saltoro Kangri I are respective highest mountain peaks of Himalaya Ranges and Karakoram ranges in Indian territories. The Purvanchal Range is the extension of the Great Himalaya range in north-east region of India. It is parallel to Karakoram and ladakh range. Three hill ranges that come under the Purvanchal ranges are, the Patkai, the Garo–Khasi–Jaintia and Lushai Hills. It is the most densely forested area and full of flora and fauna in India. These hill region also known for highest rainfall. Cherrapunji and Mawsynram are well famous for highest annual rainfall and wettest place on earth. Phawngpui is the highest peak of Purvanchal Range situated in Manipur with an elevation of 2,157 m (7,077 ft). The Vindhya range is one of seven chief holy mountain ranges in India. The Vindhya geographically separates the Northern India from the Southern India as it runs across the central India. Vindhya range is a very old mountain range in central India. It extends in east-west direction from Varanasi through Madhya Pradesh to Gujrat. Vindhya range is parallel to Satpura ranges. The southern slopes of the range are drained by the Holy Narmada River also known as Narmada valley. Amarkantak is the tallest peak of Vindhya Range with an elevation of 1,048 m (3,438 ft) in Madhya Pradesh. 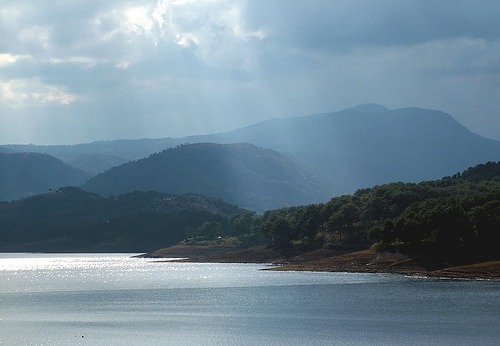 The Satpura Range is a mountain range that stretches through the states in the central part of India. It extend across Maharashtra, Madhya Pradesh and Chhattisgarh. Satpura range is triangular in shape with its apex at Ratnapuri other two sides being parallel to the Tapti and Sacred Narmada River. The Narmada and the Tapti are the only major rivers that flow into the Arabian Sea. It runs parallel to the Vindhya range, The Satpura range was formerly heavily forested. These forest provide habitat for some of India’s remaining large mammals, including The Royal Bengal Tiger, gaur, bear and black buck. 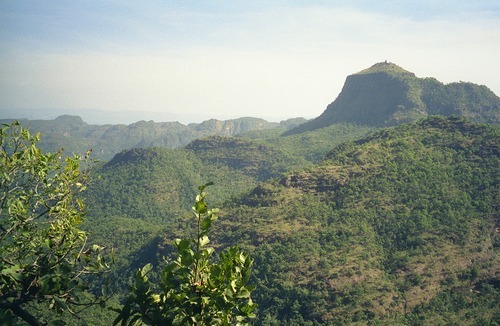 The highest peak of Satpura mountain range is Dhupgarh with an height of 1,350 m (4,429 ft) in Madhya Pradesh. 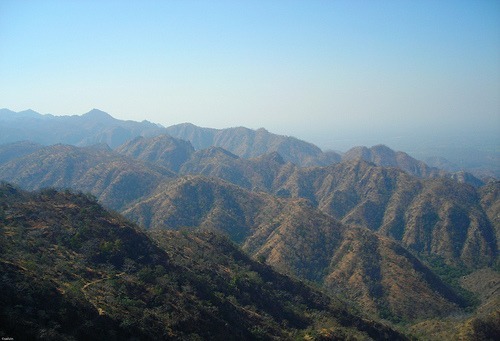 The Aravali range is the oldest mountain range in India, running across Rajasthan to Haryana. The Aravalli range is the eroded stub of a range of ancient folded mountains. Aravalli Range is one of the most popular mountain ranges in India also known as mewat hills. Aravalli range is famous for mineral resources and surrounded by dense forests with rich in flora and fauna. The highest peak of Aravali Mountain Range is Guru Shikhar with height 1,722 m (5,650 ft) at Mount Abu. The range starts near the border of Gujarat and ending at Kanyakumari. 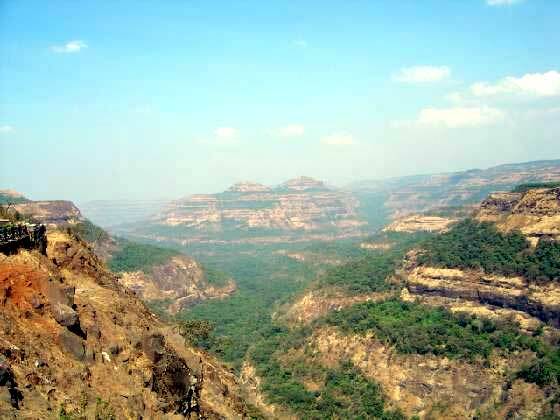 About sixty percent of the Sahyadri Range are located in the state of Karnataka. This area is one of the world’s ten “Hottest biodiversity hotpots. The Arabian sea area is known as Konkan area, one of the best tourist attraction in India. Green city Pune is the largest city within this mountain range in Maharashtra. 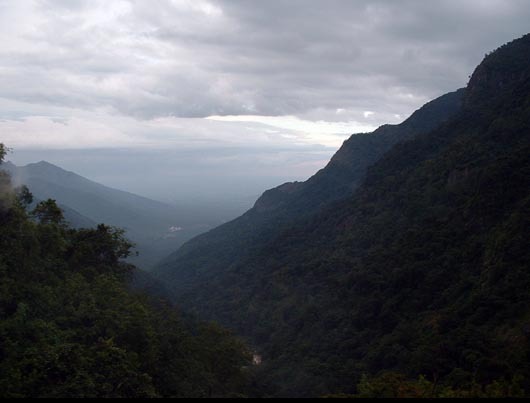 The western ghats mountain ranges make up an impressive fortress all along Kerala. There are a number of beautiful hill stations and wildlife sanctuaries in Kerala. AnaiMudi in the Anaimalai Hills in Kerala is the highest peak in the Western Ghats. The Ghats also offer best valley’s scenery-view through out the journey. The Eastern Ghats is an irregular range of mountains, Which include four major rivers The Godavari, Mahanadi, Krishna and Holy Kaveri. Its range start from West Bengal to Tamil Nadu. The Nilgiri hills “The Blue Mountains” in Tamil Nadu lies at the junction of the Eastern and Western Ghats. This area has the largest population of Indian elephant . This discontinuous mountain ranges run parallel to the Bay of Bengal. The Shevaroy hills is the highest peak in the Easter Ghat. Follow to Know: Tallest Mountain Summit of Himalaya and Highest Peaks of Indian Mountain Ranges along with the Famous Hills of India.